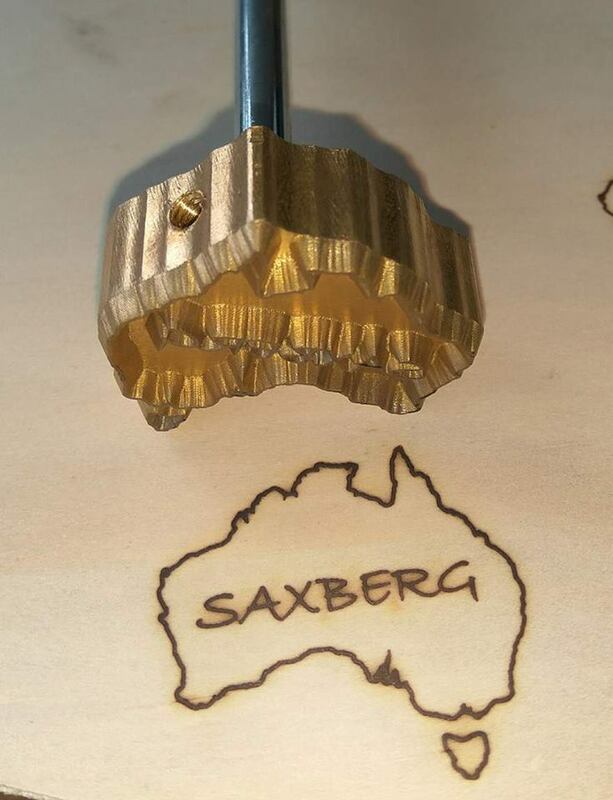 Branding iron or heat stamp has been used since time memorial to mark items for ownership, authorship, decoration and many other purposes. 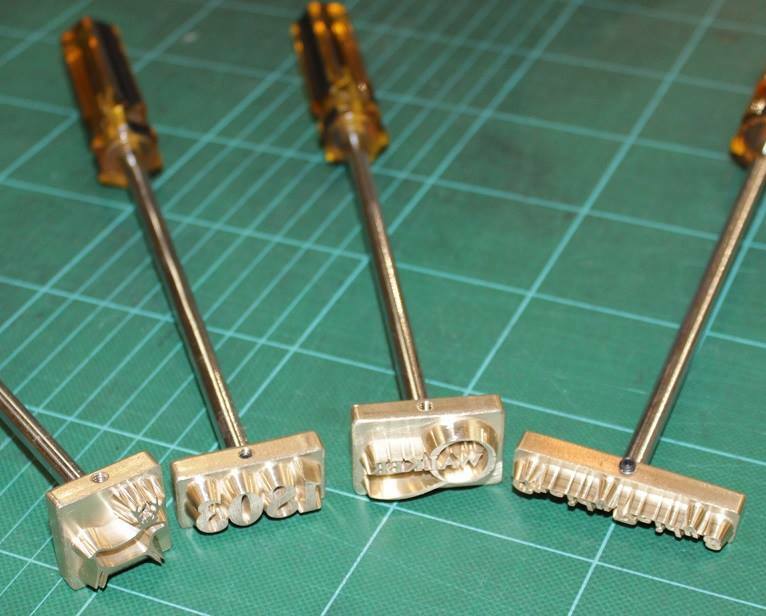 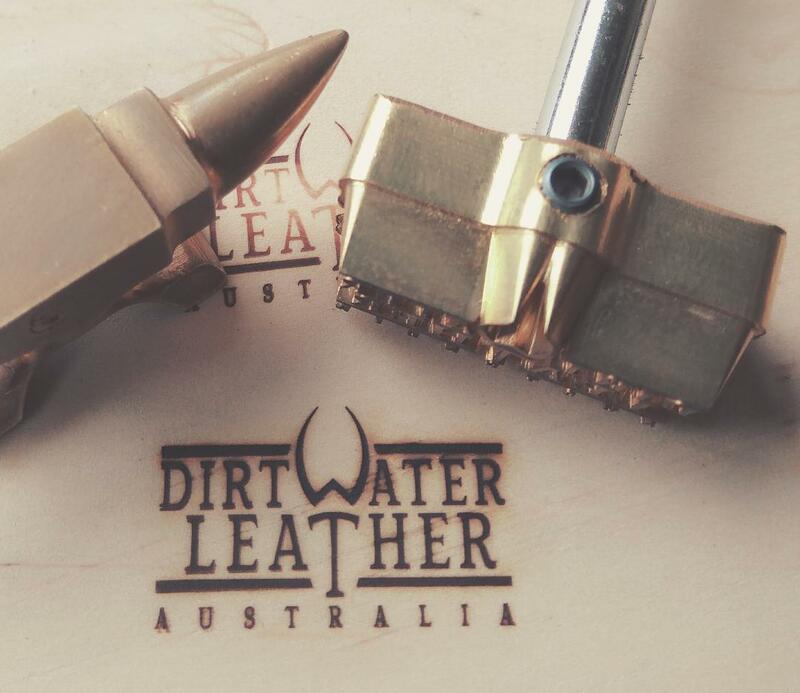 Although they are called branding iron, the material for this product can be aluminum, brass steel or iron. 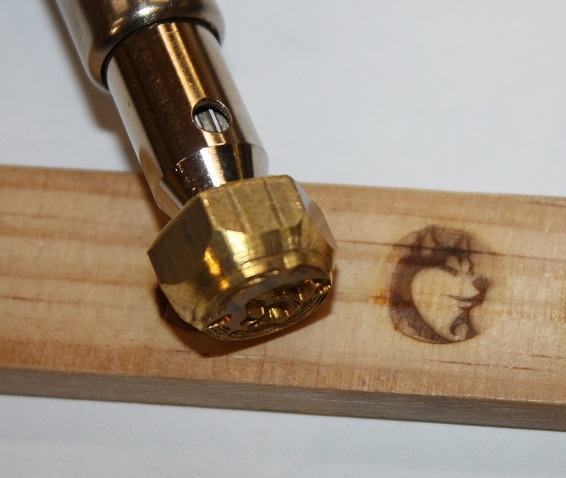 Small stamps can be heated with its own gas torch, larger stamps can be heated by placing them in a stove. 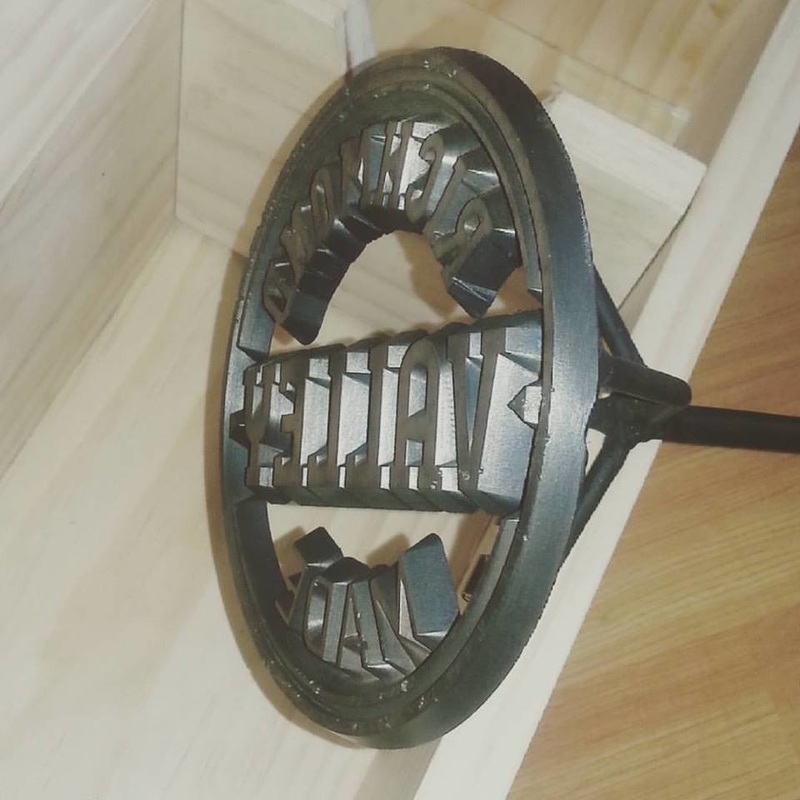 6 inch diameter Cast Iron branding stamp.